Paul Jackson is a multi-award-winning lighting designer and theatre maker whose practice encompasses theatre, opera, dance, music theatre, concerts and live events. He is a graduate of the University of Melbourne and RMIT. Paul has designed lighting for The Australian Ballet, Royal New Zealand Ballet, Berlin Staatsballett, West Australian Ballet, Victorian Opera, West Australian Opera, Sydney Theatre Company, Melbourne Theatre Company, Gordon Frost Organization, TML, The Production Company, Bell Shakespeare, Playbox, Malthouse, Belvoir, Ballet Lab, Lucy Guerin, Chunky Move, World of Wearable Art New Zealand, Kage, Australian Art Orchestra, La Mama, not yet it’s difficult performance group, Chamber Made Opera and many others. He has collaborated with a diverse range of directors and choreographers including Barrie Kosky, Sarah Goodes, Benedict Andrews, Neil Armfield, Matt Lutton, Simon Phillips, Andrew Upton, Michael Kantor, Sam Strong, Peter Evans, Adena Jacobs, Kip Williams, Marion Potts, Philip Adams, Jorma Uotinen, Renato Cuoccolo, Simon Stone, Anne-Louise Sarks, Javier de Frutos, Lucy Guerin, Anouk van Djik, Moira Finucane, Julian Meyrick, David Pledger, Gale Edwards, Tom Wright and Philip Seymour Hoffman. Paul has designed and co-designed sets and performance environments for companies including Belvoir, Malthouse, Berlin Staatsballett, La Mama, Melbourne Workers' Theatre, Chunky Move, Lucy Guerin, Ranters, not yet it's difficult, Melbourne Museum and Griffin. He has worked as a dramaturg on a range of projects. 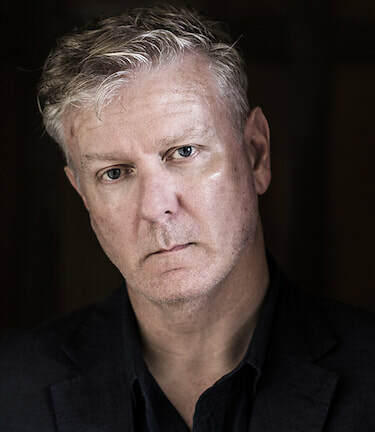 A key creative on a number of seminal Australian theatre pieces, his work has featured in festivals and programmes in the United States, Asia, Europe and the United Kingdom. Listed in The Bulletin’s Smart 100 in 2004, he was the Gilbert Spottiswood Churchill Fellow for 2007 and was an Artistic Associate at Malthouse Theatre from 2007-2013. In 2017, he received an Australia Council of the Arts fellowship. Paul has won a Helpmann Award, a Sydney Theatre Award, six Green Room Awards; and has won the Australian Production Design Guild Award for Best Lighting Design for the past three years in a row. He has also received a further twenty-eight Green Room Award nominations. Committed to mentoring emerging designers, Paul has lectured in design at the University of Melbourne, NMIT, RMIT University and Victorian College of the Arts. He was a founding member of not yet it's difficult performance group, was a member of Melbourne Workers' Theatre Artistic Advisory Group, and has been on the Board of St Martin's Youth Arts Centre.